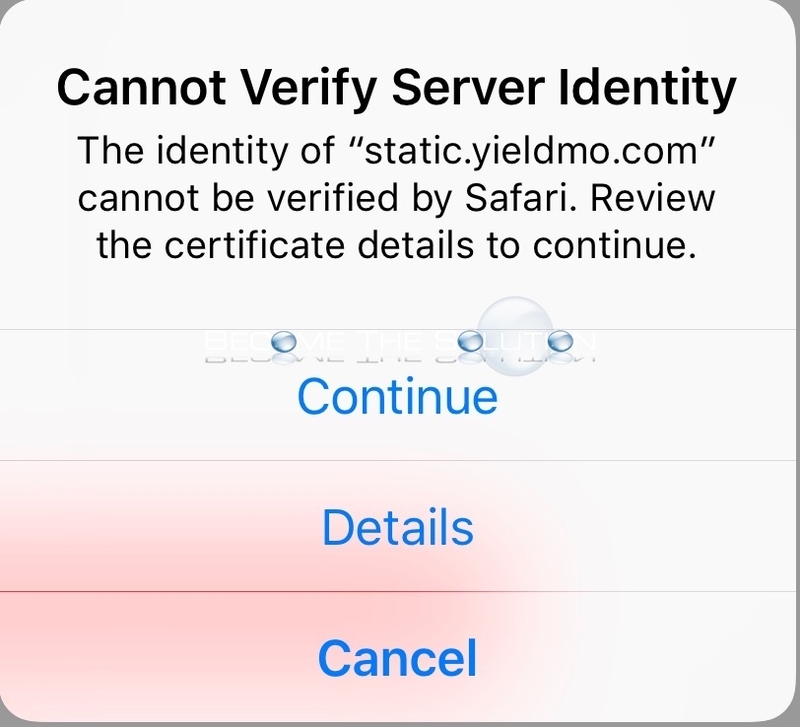 If you recently tried browsing the CNN.com website on your iPhone, you may receive a prompt Cannot verify Server Identity of static.yieldmo.com. It seems CNN has removed its SSL server certificate temporarily on their website. So, when you previously browsed the website on your iDevice, Safari remembered it as https://cnn.com. In this case, the site can only be accessed via http://cnn.com until CNN IT admins are able to restore the SSL certificate to browse the https version of the site again. You receive the certificate warning prompt because Safari cannot find an SSL certificate anymore on cnn.com. I am sure CNN will fix this soon enough! Don’t worry though, as long as you aren’t submitting private information to the CNN website, you can disregard this message.